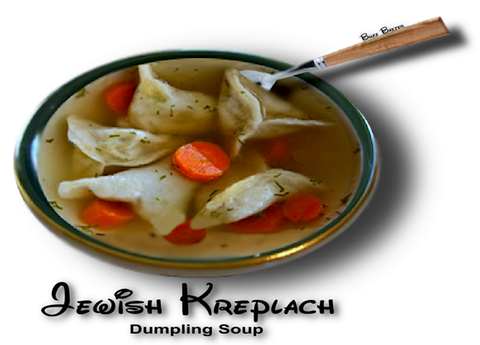 Most countries have their dumpling soup. This is a delicious recipe of the Jewish version. elastic, pull it into something resembling a square. Cover with plastic wrap and let sit at room temperature for about 20 minutes. and season well with salt and pepper. could  also make square or rectangular kreplach, depending on how you fold and pinch. oil,  of course) would be a great topping.